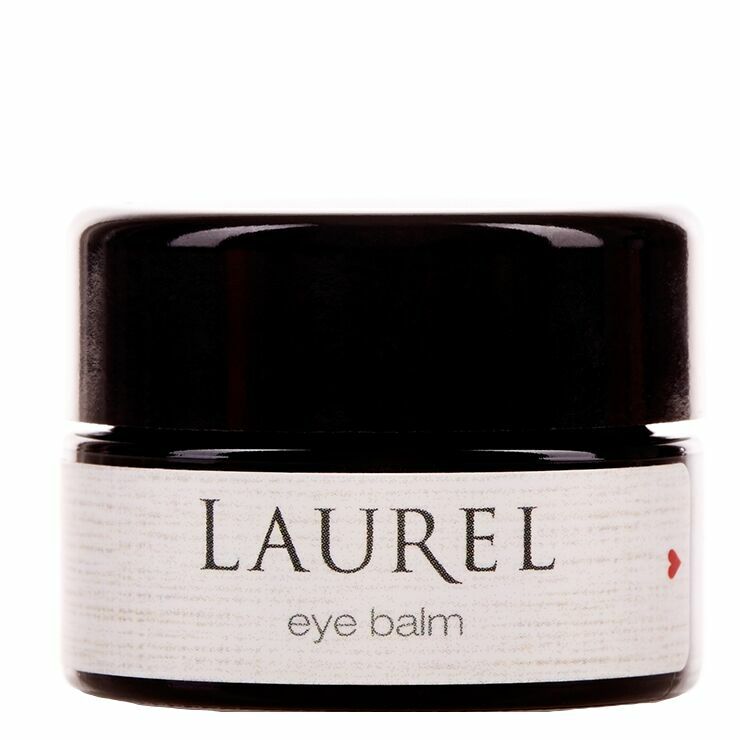 An ultra rich treat for the delicate eye area, Laurel Whole Plant Organics Eye Balm lends a nourishing feel, while addressing the appearance of dark circles, puffiness, and fine lines. Lavender is used to offer a calming and cooling sensation, beneficial when dealing with inflammation. Red grape seed oil gives a revitalized look to tired eyes and is super gentle to keep irritation at bay. Bilberry improves the look of dark circles and broken capillaries, while cranberry seed oil softens signs of lines and wrinkles. So much more than an ordinary eye cream, this luxe balm will become a beauty favorite. A little goes a long way with this moisturizing balm. After cleansing skin, warm a pea-sized amount of the organic under eye cream between fingers and gently tap under and around eyes with fingertip. Ideal for those in need of intense moisturization and as a nighttime eye treatment when addressing dark circles, puffiness, and lines.